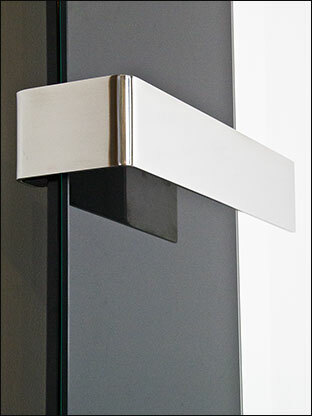 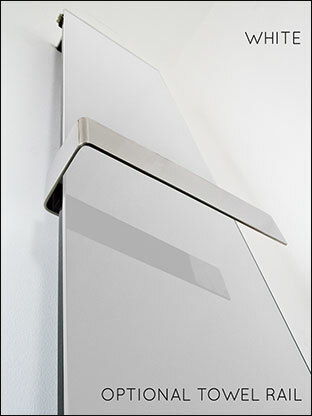 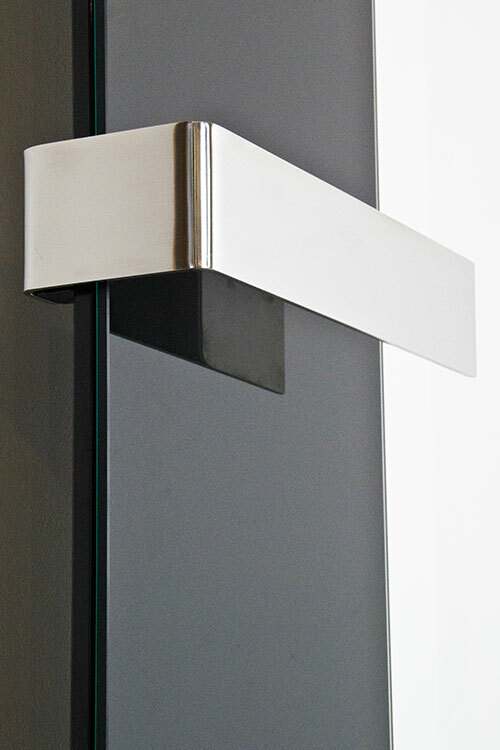 A glass heating towel rail that is contemporary styled with good heating outputs. 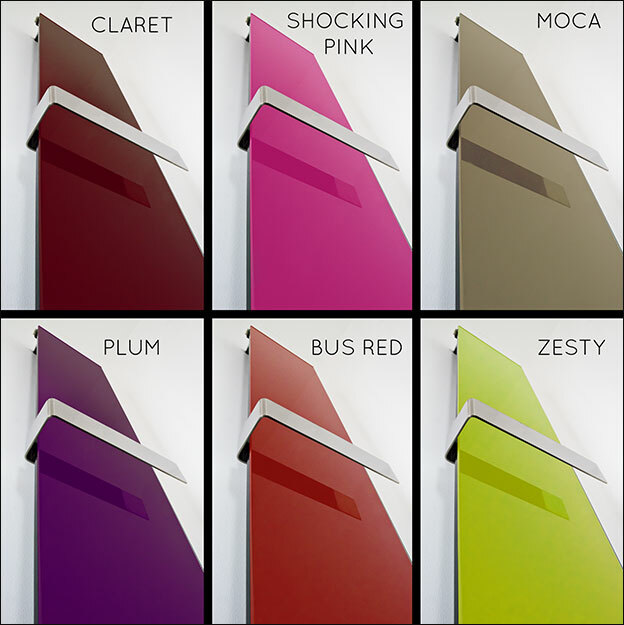 These coloured glass heating radiators can be supplied in black or white glass or a selection of 8 other coloured finishes. 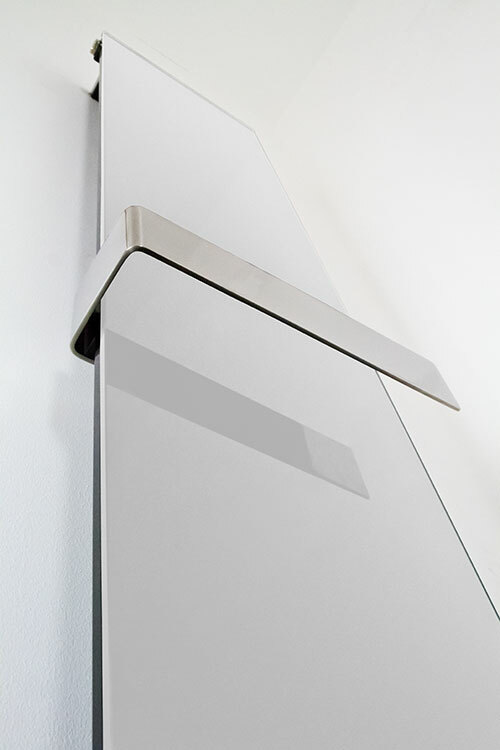 Ideal for bathrooms as well as kitchens. 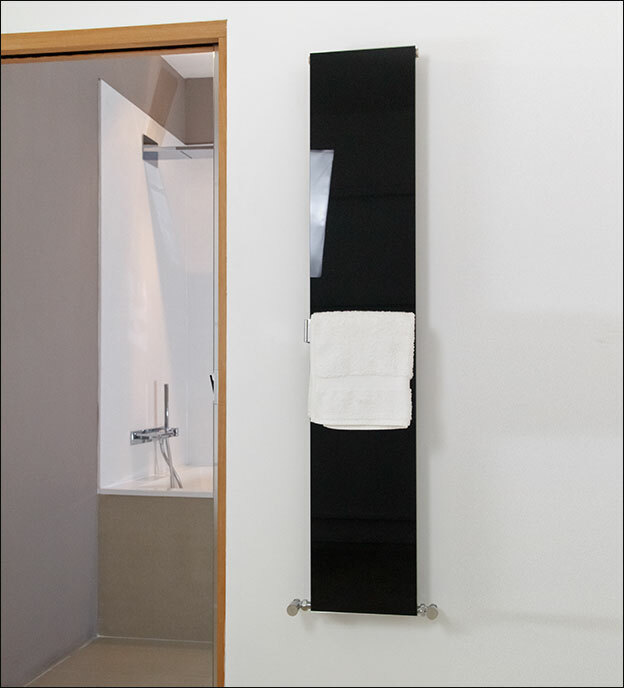 Black glass towel rail radiator shown.